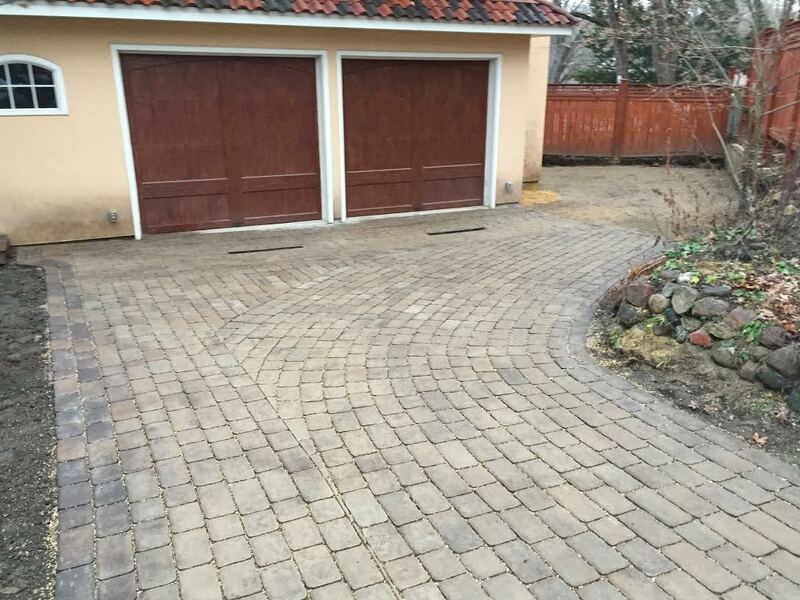 If you want to create an interesting patterned look for your driveway, walkway, or patio, brick pavers could be a great choice of hardscaping material. 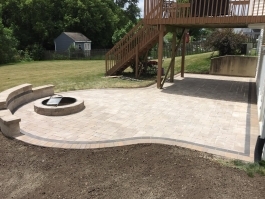 Our Rockford brick paver specialists are experienced in designing and building a wide variety of brick paver landscape and hardscape features. Pavers are made by pouring concrete into forms or molds to create uniform blocks in an almost endless variety of shapes, sizes, and colors. The individual blocks are known as “bricks,” not to be confused with traditional red clay bricks. 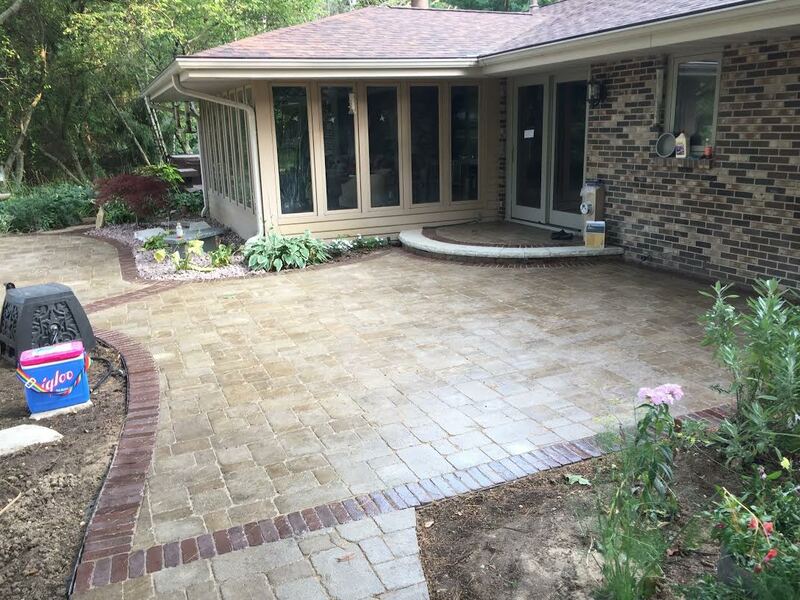 Brick pavers have the durability, strength, and versatility of concrete without many of the pitfalls of poured slabs. Surfaces made with brick pavers have many natural joints, so your Rockford brick paver landscape features will be resistant to cracking. In fact, because they are laid on sand bases, the structural integrity of brick paver surfaces actually increases over time. Their resistance to cracking is a huge advantage in areas with severe freeze-thaw cycles like Rockford, IL and the surrounding areas. Brick pavers are also manufactured to be completely uniform, so it’s easy to find replacement bricks if damage or staining does occur. Unlike poured slabs of concrete, brick pavers make it easy to repair or replace small areas of a hardscape without having to redo the whole surface. 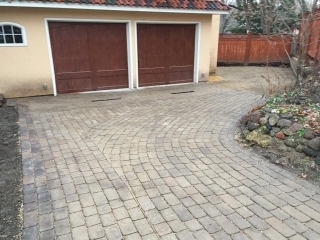 The many advantages of brick pavers make them an ideal material for the construction of driveways, walkways, and patios. 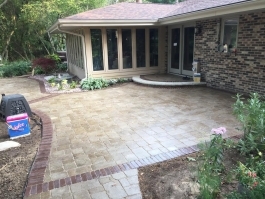 Using the wide variety of brick pavers available, our Rockford staff can create almost any pattern or design that you can imagine, from the simplest to the most intricate. We stock Unilock, Belgard, Silvercreek, Rockwood, and Rosetta brand pavers, so you can rest assured that we only use the best materials in all of our projects. We also stock pavers in a variety of other materials, including granite, other natural stones, and clay brick. 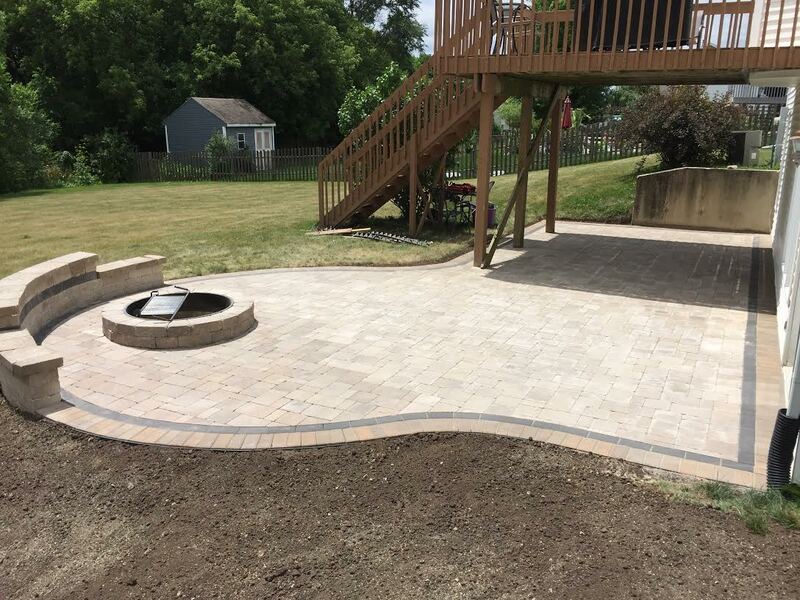 Your options are endless, so contact us to begin designing your new Rockford brick paver hardscape today.